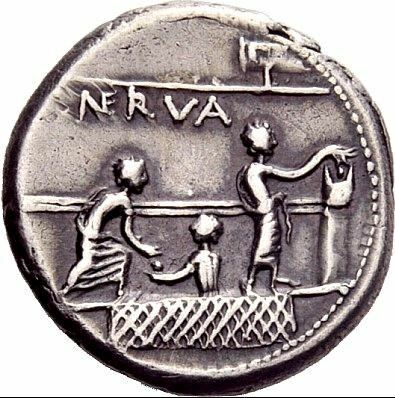 Publius Licinius Nerva was one of the moneyers for the year 113-112 BC. As Praetor he served as Governor of Sicily in 104 BC, at the outbreak of the Second Servile War. Having failed to put down a slave revolt which then rapidly escalated into the Second Servile War he was replaced at the end of his term by Lucius Licinius Lucullus.